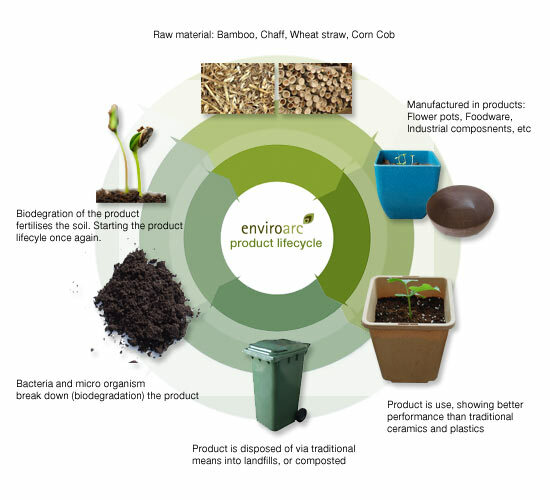 As with all biodegradable products, our pot's organic biodegradable composite means that in nature it will naturally break down safely, relatively quickly and biologically. It will fully return from a consumer product and re-enter the earth and nature's natural life process. Our material based mainly on bamboo and chaff, is natural, non-toxic, and biodegradable, protecting the earth and environmental from harm on disposal. A range of options are available on disposal and these include, use as plant fertiliser, use in a compost bin, or you can even plant the pot with your plants and not need to worry about damaging roots while planting.